Kitchen Utensils and Table Ware from Trees? Treenware, or simply, treen refers to the items made for table use by the pioneers and immigrants coming to North America from all over Europe. The ability to make common household items out of whatever was available in those days was essential, as they couldn’t just run down to the hardware store to buy what they needed. This need was filled by carving out common items from wood. Locally grown and common types of trees such as poplar were used for buckets, water troughs for stock carved out of a single piece of a tree, and for flooring for pig barns. Poplar is one of the most used trees for treenware, mostly because of its fine grain and knotless growth habit, and also because it will actually hold water. This makes it ideal for pig troughs, dough pans and buckets. Populus tremuloides, the trembling aspen known for its golden coins appearance as the leaves turn in the fall is generally branchless for a great deal of its length, making for lumber without knots. Luckily, this 'weed tree' as it's commonly called, grows naturally in recently cleared land, and it's known as a pioneer species. These days poplar lumber is used for low beds on trailers used for hauling heavy equipment around due to the lack of splinters to poke holes in machine tires, and oddly enough, pig barns today are still floored with its planks. This practice continues even now as poplar wood won’t rot in contact with the earth as long as it’s continually wet. This explains its use for stock water troughs as once the grain is wet from immersion in water, the fibers swell and make it water tight. In contrast to its other common name of cottonwood, this unique property actually prevents it from rotting. Treen is used today to describe carved ornamental bowls, spoons and other items. Treenware made from burls or cankers, poplar logs and other wildcrafted materials are unique. Made by those artisans that have the eye to see a potential tree or log with a carving hidden in its heart, treenware is beauty revealed. Smaller branches, or the trunks of smaller caliper trees, can be used for carving wooden spoons or trenchers, for salad ‘bear claws’ or serving spoons. 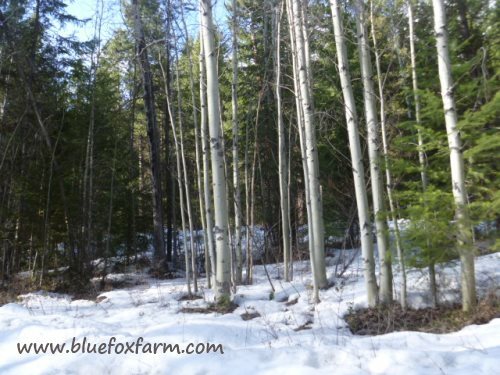 Larger diameter poplar trees are used in specialty mills for making flooring or paneling. Burls or cankers on many different trees such as Acer or maple, poplar, and others are turned on a lathe to make beautiful bowls and platters. 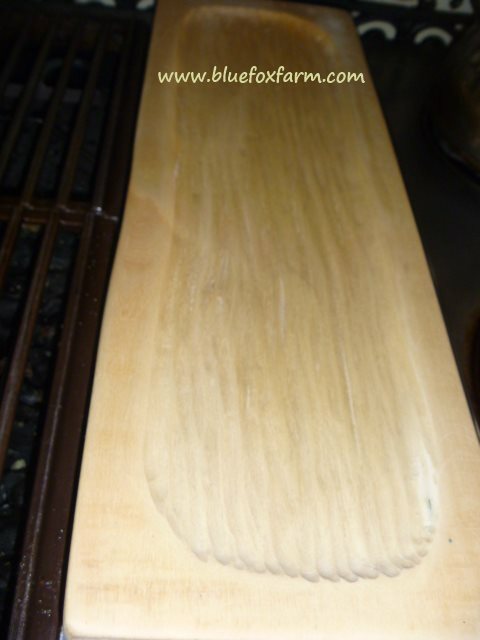 The beauty of these woods are that they are non-toxic, and finished with a simple vegetable oil to reveal the grain of the wood, can be used for food serving. 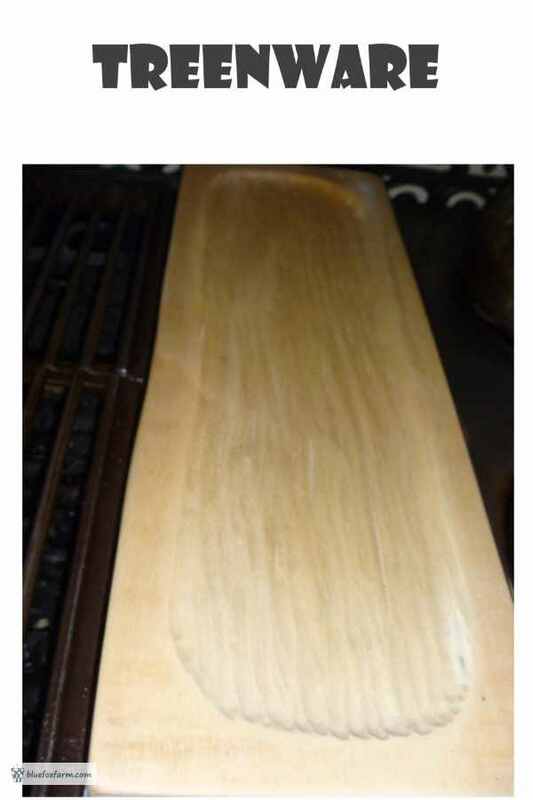 Other wood such as pine, spruce or other coniferous wood contains resin or turpentine, which can contribute an objectionable flavor to the food, but many fruit woods such as apple or pear can make excellent table wear or treen.